Lead vocalist Mark Wood had “it,” whatever the charismatic “it” is, when he was in middle school 35 years ago in Dayton, Ohio, and founded what would become Lakeside in Dayton in 1968. Lakeside is responsible for the “sound” in the Sound of Los Angeles Records (Solar). 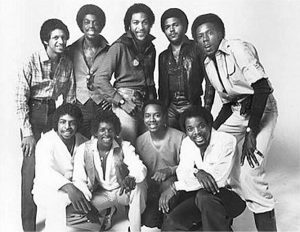 The band members wrote and did session work on many of the hits produced by Leon Sylvers, which included smashes by The Whispers (“It’s A Love Thing”), Shalamar (“The Second Time Around”) and Klyymaxx (“I Miss You”). See more Featured Artists heathly male.